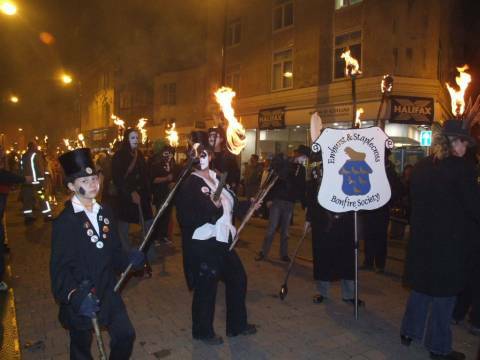 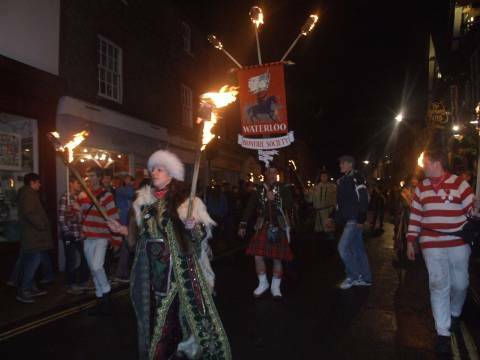 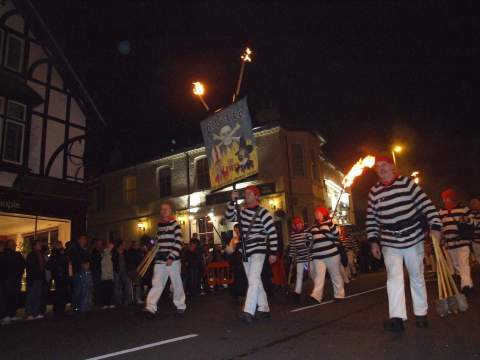 Venture into deepest Sussex on Bonfire Night, or on a dark Saturday evening between September and November, and you could well encounter the magic of Sussex Bonfire. 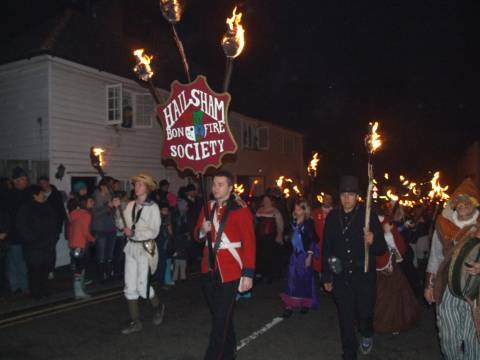 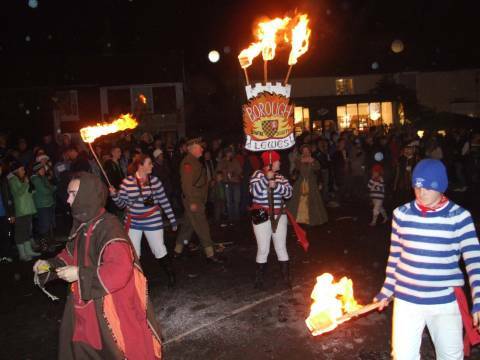 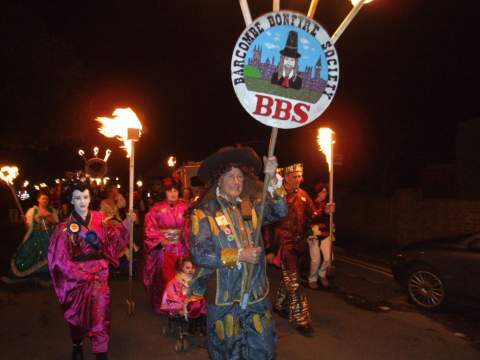 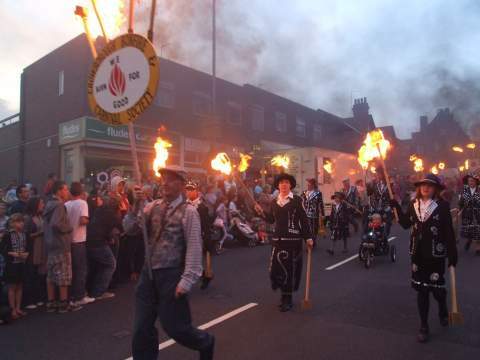 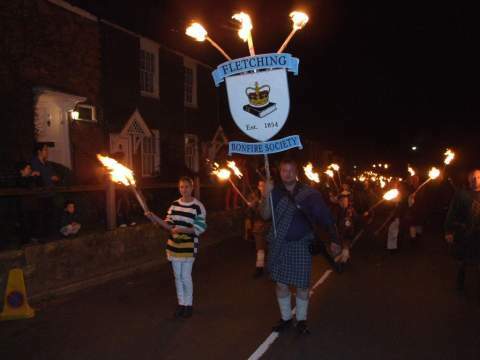 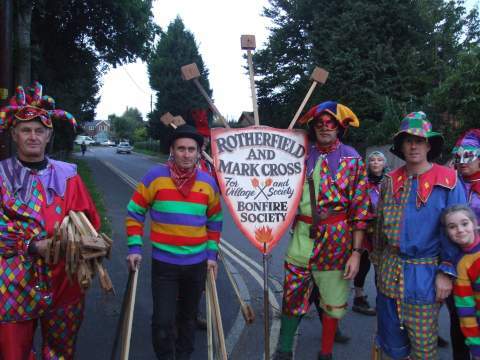 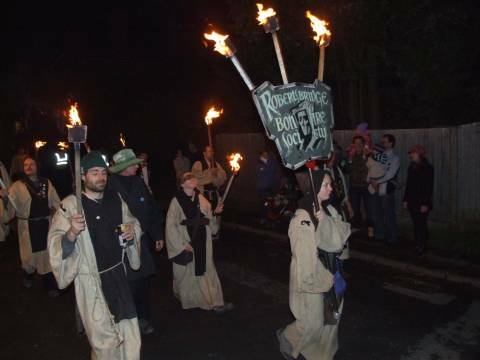 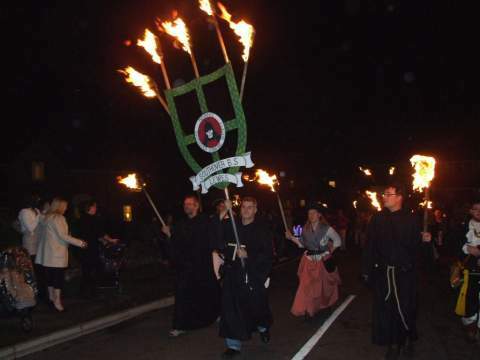 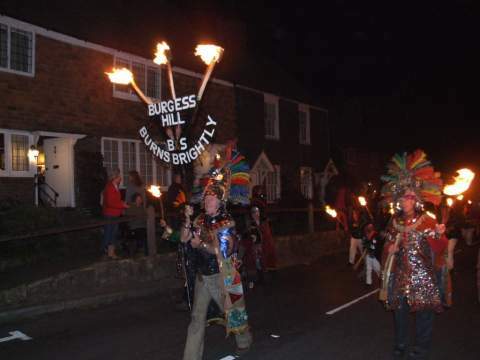 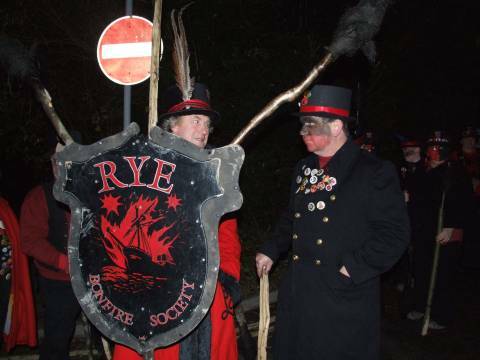 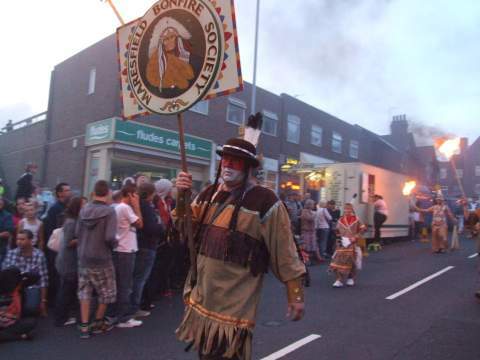 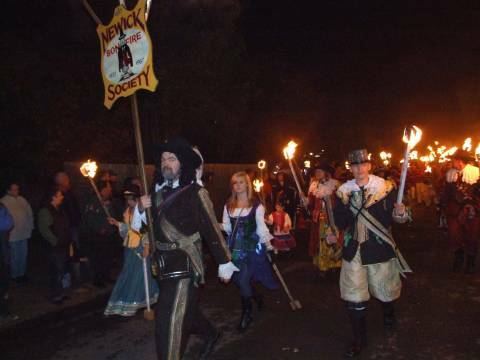 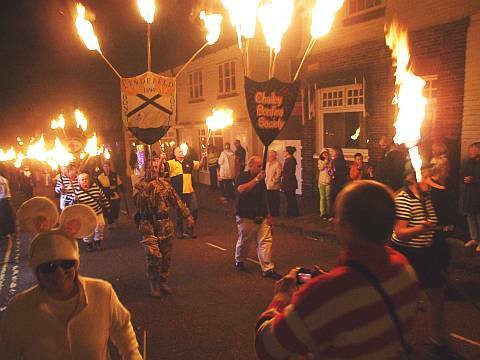 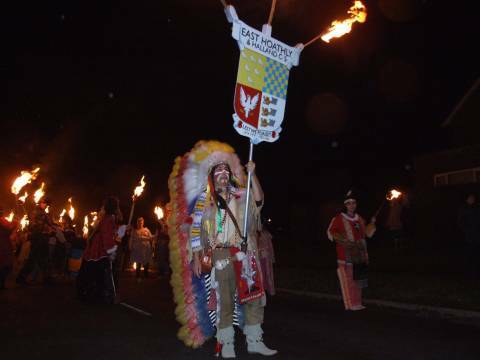 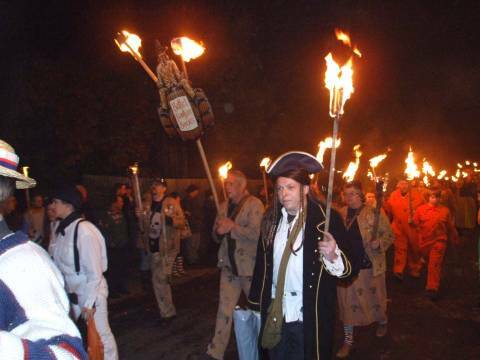 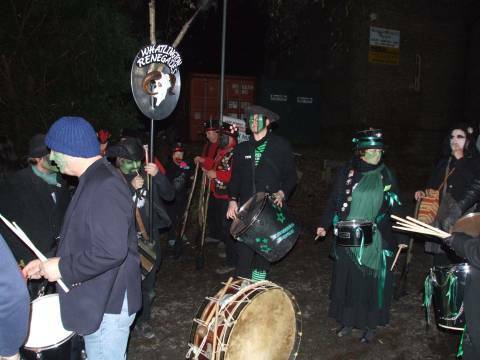 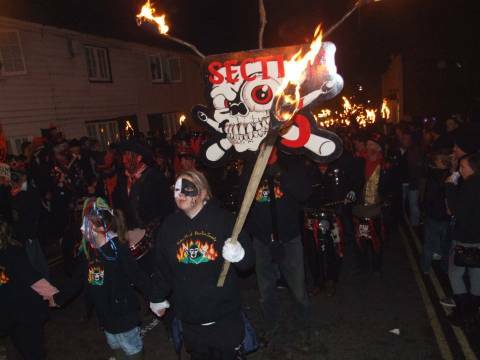 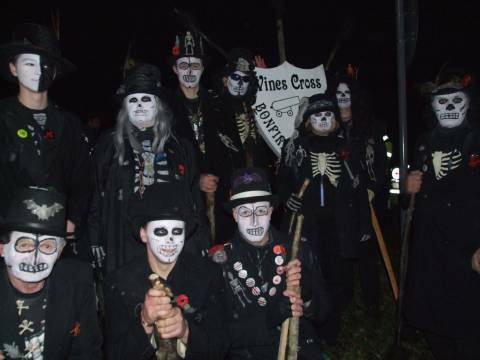 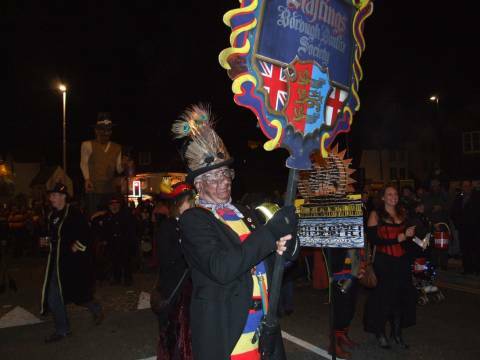 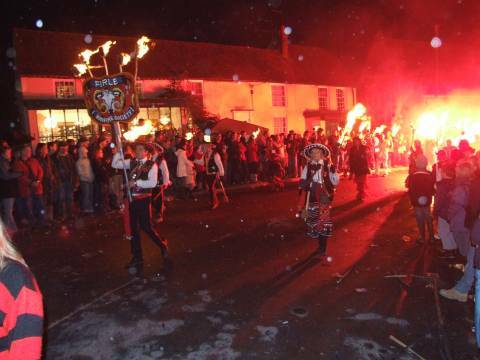 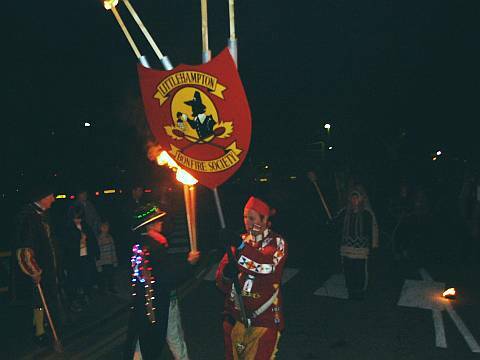 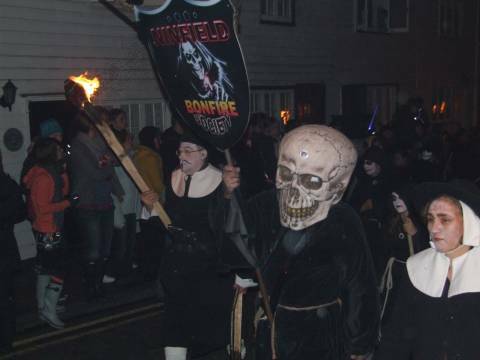 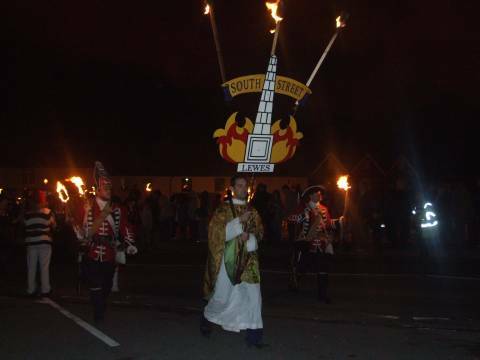 Steeped in tradition, often clouded in mystery, members of the Sussex Bonfire Societies descend on remote villages. 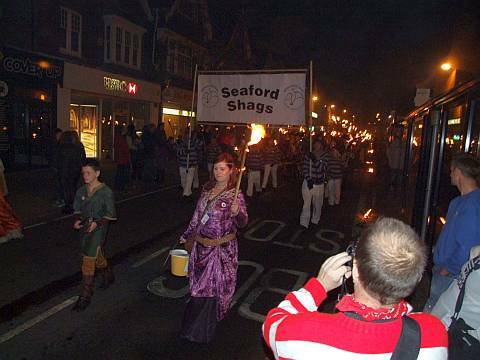 They arrive in their hundreds, even thousands. 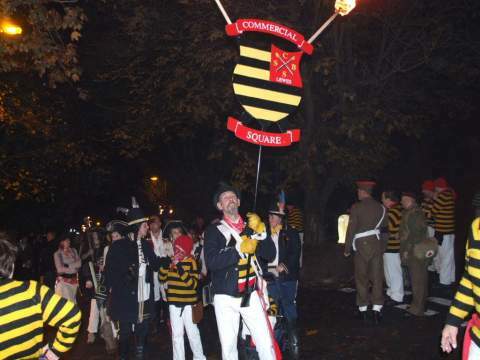 They come in uniform. 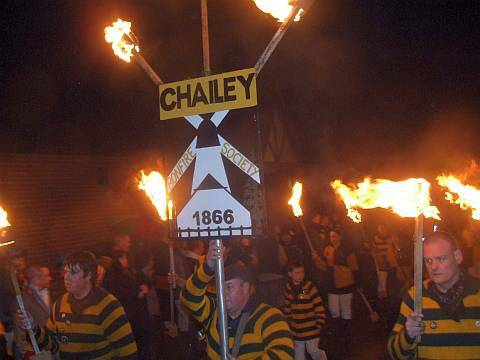 They bring passion. 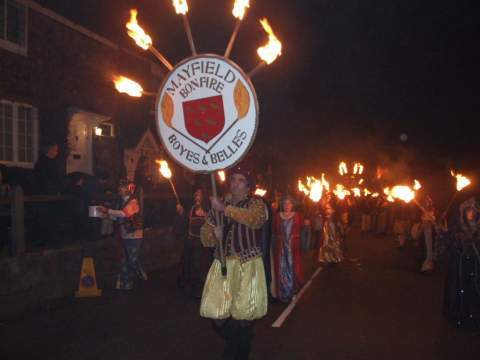 They bring fire. 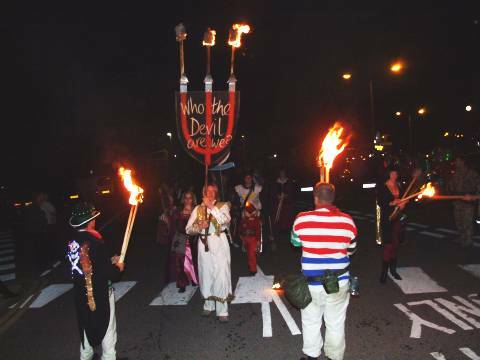 They bring noise. 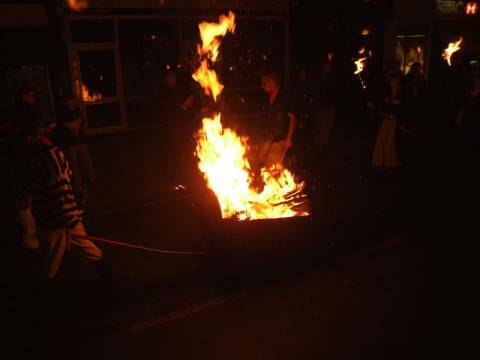 To understand, you need to feel the chill of the cold night air, feel the heat of the flames and get the smoke in your hair. 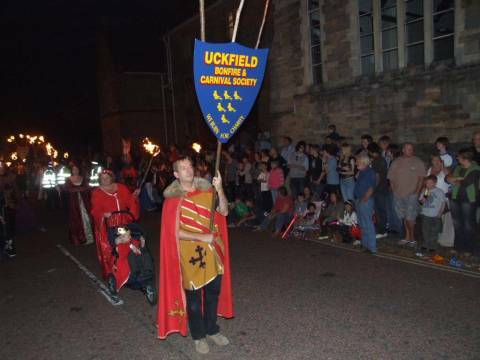 Ident: Zulus & Tudors. 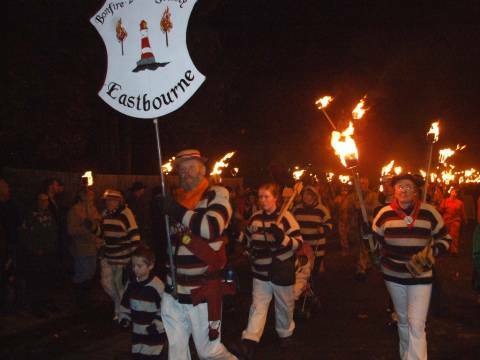 Blue & white stripes. 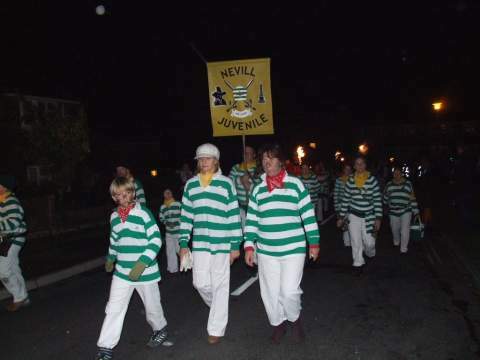 Ident: Green & yellow stripes. 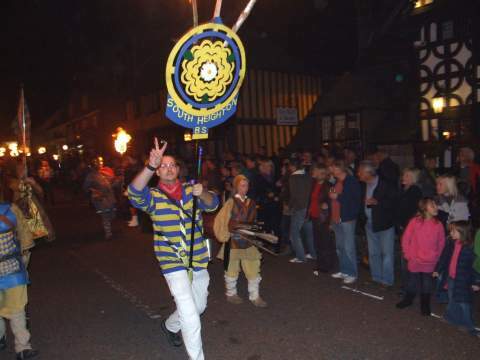 Inaugural meeting: 21 Nov 2012 at The Muddy Duck Pub, 3 Main Street, Northiam TN31 7DJ.